Discussion in 'Expeditions' started by DarkUnderlord, Nov 15, 2018. Wasn't Vikings already made because it's a more commonly popular setting compared to Conquistador, to reach a broader audience? Bit of both. What we choose is not up to me, but Viking definitely appealed to my inner Dane. Let's hope for less barrel smashing in the next game. I liked the HOMM style of the first one better than the RPG style of the second game. Let's hope they do some optimization this time. Dumping Unity for the 3rd game would probably be a plus. I'd love to see Expeditions: Zulu but I'm guessing they're going to avoid anything remotely controversial now that they're under the big publisher umbrella. Their games don't try to be historicly accurate ( which i like), so if they make a game about Africa they will give you the chance to be nice to the locals like in Conquistadors. If they do Africa, then I would like to see Expeditions: Congo. Although my first choice would be Expeditions: Vandal. It'll probably be set in China. Huge market, a decent setting (plenty of stuff to take from "Il Milione"). If this was not "historical" historical series, Journey to the West with more historical flavor could be cool. Aristeas (Greek: Ἀριστέας) was a semi-legendary Greek poet and miracle-worker, a native of Proconnesus in Asia Minor, active ca. 7th century BC. Aristeas was supposed to have authored a poem called the Arimaspea, giving an account of travels in the far North. There he encountered a tribe called the Issedones, who told him of still more fantastic and northerly peoples: the one-eyed Arimaspi who battle gold-guarding griffins, and the Hyperboreans among whom Apollo lives during the winter. Euthymenes of Massalia (/juːˈθɪməˌniːz/; Greek: Εὐθυμένης ὁ Μασσαλιώτης Euthymenēs ho Massaliōtēs; fl. early sixth century BCE) was a Greek explorer from Massilia (Marseille), who explored the coast of West Africa as far, apparently, as a great river, of which the outflow made the sea at its mouth fresh or brackish. His published accounts have not survived, but seem to have been known, at least at secondhand, by Plutarch, who writes "Euthymenes the Massilian concludes that the Nile is filled by Oceanus and that sea which is outward from it, the latter being naturally sweet." Euthymenes thought that this river was the Nile, but the river in question may have been the Senegal. Scylax of Caryanda (Greek: Σκύλαξ ο Καρυανδεύς) was a renowned Greek explorer and writer of the late 6th and early 5th centuries BCE. In about 515 BCE, Scylax was sent by King Darius I of Persia to follow the course of the Indus River - which gives India her name - and discover where it led. Scylax and his companions set out from the city of Caspatyrus (Gandhara), which would mean he may have entered the Indus River in the northwestern part of the Indian subcontinent, somewhere in the borderlands of present-day Afghanistan and Pakistan. Scylax sailed down the river until he found it reached the Arabian Sea. He then sailed west across the Arabian Sea until he arrived at the Red Sea, which he also explored. He travelled as far as the Red Sea's western end at Suez, before returning to report to Darius I. His entire journey took thirty months. Pytheas of Massalia (/ˈpɪθiəs/; Ancient Greek: Πυθέας ὁ Μασσαλιώτης Pythéas ho Massaliōtēs; Latin: Pytheas Massiliensis; fl. 4th century BC), was a Greek geographer and explorer from the Greek colony of Massalia (modern-day Marseille). He made a voyage of exploration to northwestern Europe in about 325 BC, but his account of it, widely known in Antiquity, has not survived and is now known only through the writings of others. On this voyage, he circumnavigated and visited a considerable part of Great Britain. He was the first known scientific visitor to see and describe the Arctic, polar ice, and the Germanic tribes. He is also the first person on record to describe the Midnight Sun. The theoretical existence of some Northern phenomena he described, such as a frigid zone, and temperate zones where the nights are very short in summer and the sun does not set at the summer solstice, was already known. Similarly, reports of a country of perpetual snow and darkness (the country of the Hyperboreans) had reached the Mediterranean some centuries before. Eudoxus of Cyzicus (/ˈjuːdəksəs/; Greek: Εὔδοξος ὁ Κυζικηνός, Eúdoxos ho Kyzikēnós; fl. c. 130 BC) was a Greek navigator who explored the Arabian Sea for Ptolemy VIII, king of the Hellenistic Ptolemaic dynasty in Egypt. Russian conquest of Siberia could also be a fun campaign. And they can reuse all the snowy assets from Viking to boot. Not sure if anyone has posted this here yet, but it's possible clue in regards to the next Expeditions setting. If that's the game, they've actually been planning it for a while. Rome sounds good to me. Totaler krieg for thee, but none for me. EIR is the obvious choice of course. Somehow Rome excites me even less than Vikings - probably because Rome was the subject of far too many boring high school history lessons, while Vikings were not. Well, I'm actually going to Rome for Christmas, maybe I'll change my mind after the trip. V_K , I recommend some reading on the Punic Wars to get the blood flowing. Carthage was my pet army back when i first wanted to get into ancient wargaming. The Punic Wars are a great read. I recommend this book if you wanna get in the mood. Although it’s mostly Carthage based, it’s still a good way to get flavor. It’d be like reading a book about Orks if you were gonna play a Space Marine army vs Orks in WH40k. 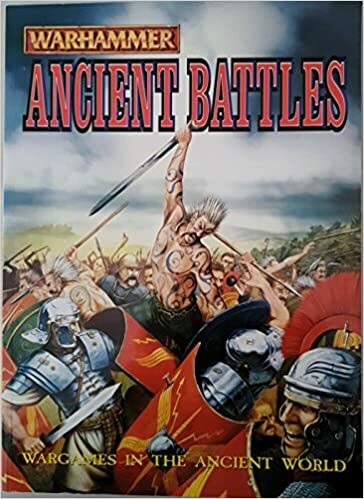 V_K , I recommend some readijg on the Punic Wars to get the blood flowing. Besides, I'm not very interested in wars anyway. Rome seems like a good choice. The game will most likely be about the expeditions in Gallia or Germania. It will be fun putting all those barbarians to the gladius! I cannot wait for all those female Centurians and Senators that will show how progressive Rome was. That's actually a valid point. It's not entirely impossible to imagine female battle leaders in Viking culture or in late Renaissance, whatever the manlets here say, but in Rome where they weren't even given personal names? Gonna be harder to spin. Unless of course the game is the fall of Rome and you're playing for the Germanic tribes.